2012 Jim Daughtee LODD family survivor Jim Daughtee addresses those gathered for 2012 Service. LODD family survivor Jim Daughtee addresses those gathered for 2012 Service. Commissioner Honors TN Deputy Governor Claude Ramsey, C & I Commissioner Julie Mix McPeak, Deputy Commissioner Steve Majchrzak, Assistant Commissioner Gary West and Honor Guard place wreath during service. 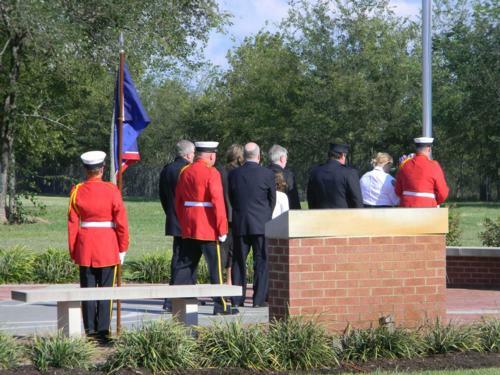 TN Deputy Governor Claude Ramsey, C & I Commissioner Julie Mix McPeak, Deputy Commissioner Steve Majchrzak, Assistant Commissioner Gary West and Honor Guard place wreath during service. Flag Held High Huge flag held by Bedford County FD and TFACA aerial. 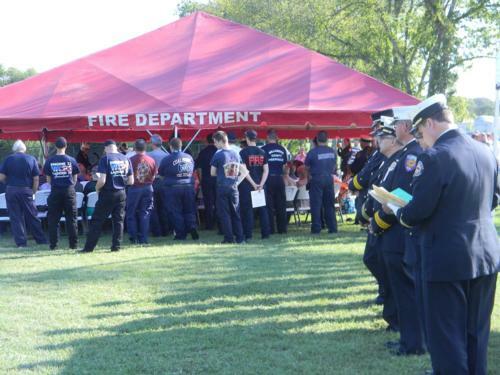 Flag was provided by Knoxville Fire Department, Thank you Knoxville and Bedford County! 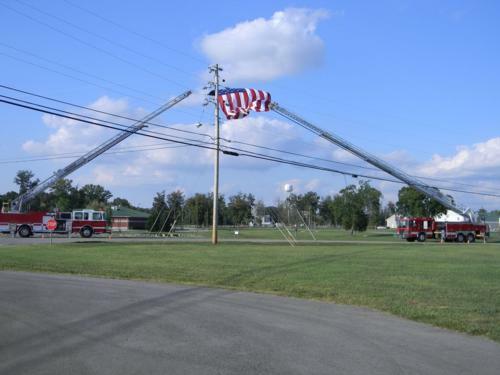 Huge flag held by Bedford County FD and TFACA aerial. Flag was provided by Knoxville Fire Department, Thank you Knoxville and Bedford County! TFFM 2012 Crowd Part of the large number of attendees for the 2012 service. Part of the large number of attendees for the 2012 service.